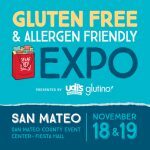 Yay, Gluten Free Allergen Free Expo is coming back to San Mateo! Would you like to win free tickets? Read the instructions below to enter. 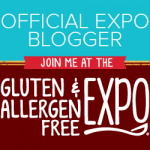 Disclosure: I’m an official blogger for GFAF Expo San Mateo and this post contains affiliate link(s). There are usually signs at the expo booths to indicate the presence of any allergens but be sure to read ingredient labels carefully for allergen advisories before trying any samples. 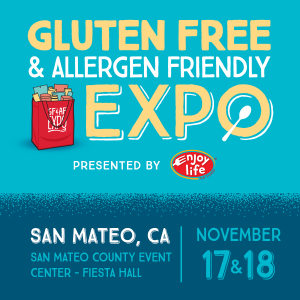 I’m so excited that Gluten Free Allergen Free Expo (GFAF Expo) is coming back to San Mateo November 17-18, 2018. I am excited to be one of their official bloggers for the event and it’s just minutes from my house, so I love to go and check it out, see what’s new, see friends, and have fun. 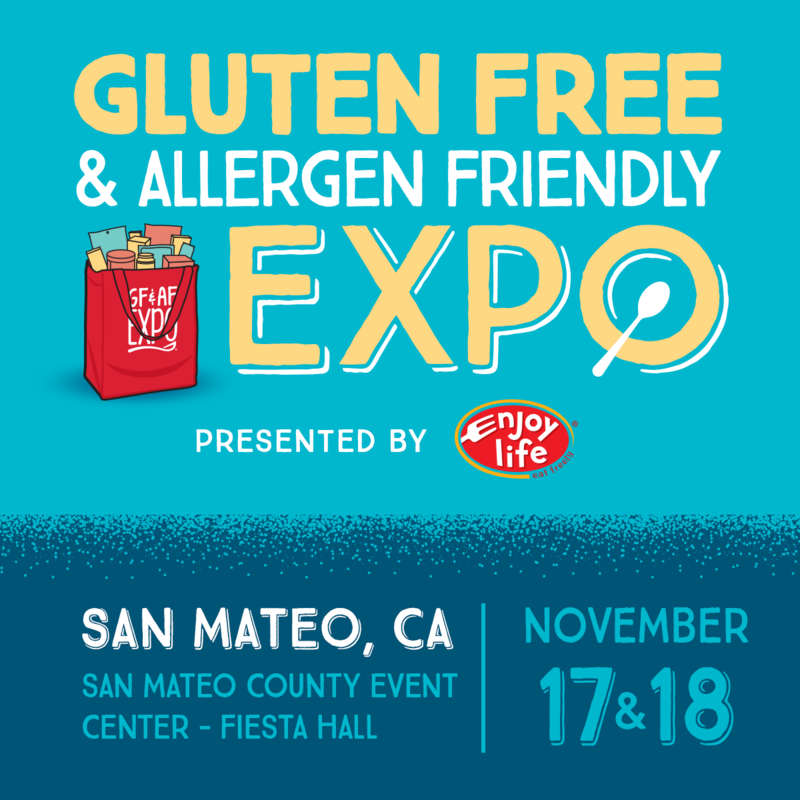 If you have food allergies, food sensitivities, or gluten free for medical conditions, GFAF Expo is a great event to learn about different products from over 80 exhibitors, try samples (check labels first! ), and recieve coupons or samples to take home. Some vendors often offer special pricing so you can buy some products to take home. San Mateo is a very central location in the SF Bay Area and 10 minutes from the San Francisco International Airport, so you can easily come for the weekend and make the most of the trip. Opportunities to Learn, Bring a Friend! 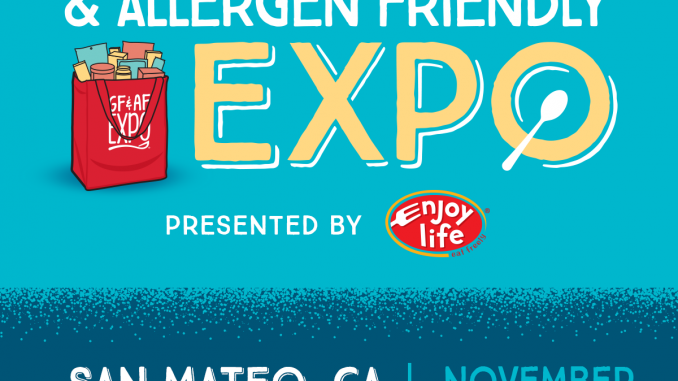 It’s also a great opportunity to bring a friend or a relative to attend GFAF Expo with you who is interested in learning more about life with food allergies. This is a great way for them to learn how to support you or for a teen to gain confidence to manage their own allergies independently. 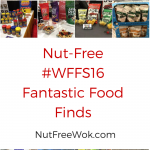 We are mostly nut free, we have been egg free in the past so I know how to manage those allergens well. I like to challenge myself to find tasty foods that are safe for my friends with different allergies than our family. It’s a chance for me to equip myself with knowledge and safe foods to be hospitable with friends who are gluten free or dairy free. I also like to attend or listen in on some of the classes at GFAF Expo. 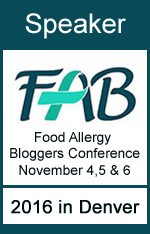 The topics on Saturday are related to some of the medical and physical aspects of living allergen free. Learn tips and recipes from allergen free, gluten free experts on Sunday. 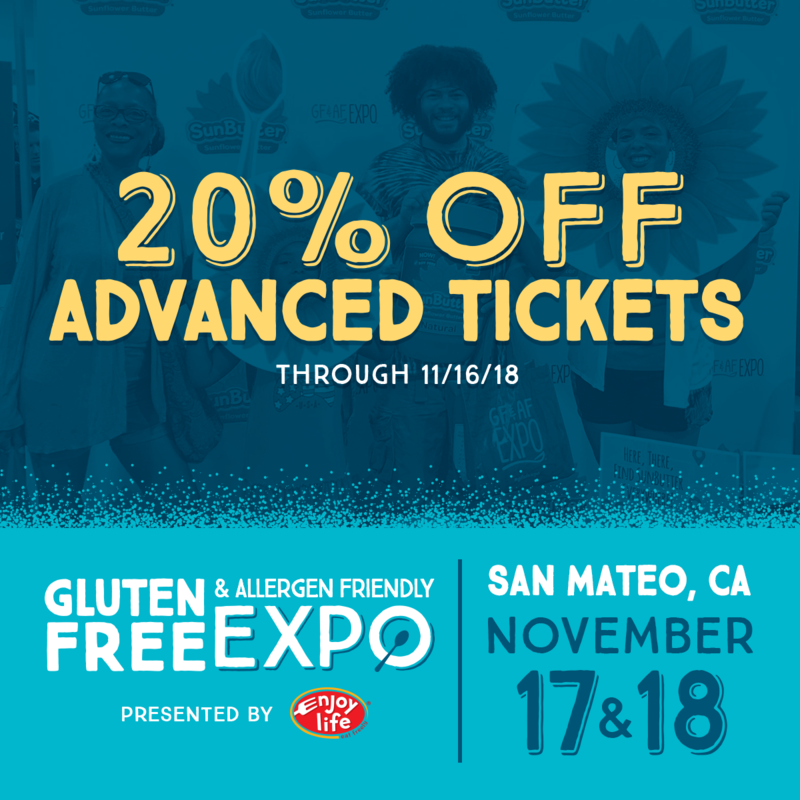 Order your tickets through 11/16/18 to save 20% on your ticket price! Use promo code ADVANCE. One day tickets for kids and adults, weekend tickets for kids and adults, and weekend family passes are are available for purchase online in advance. Use the code ADVANCE for 20% off through 11/16. Tickets are full price online and at the door on the days of the event, so be sure to order in advance. 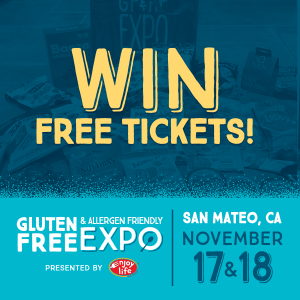 I have 3 tickets for GFAF Expo in San Mateo to give away. Enter to win a free one-day ticket by leaving a comment below by telling me why do you want to go. If you already bought your tickets, leave a comment anyways so you can enter to win a ticket for a plus one. I will pick 3 winners on TUESDAY 11/13/18 at 12:00 PT, send you an email, confirm that you want to attend, and I will send you a code so you can redeem your free ticket. I would love to see you there or maybe have an impromptu Nut Free Wok and Friends meetup afterwards for coffee nearby. In the event that you win a ticket and cannot attend, please give the ticket to someone else or let me know so that I can give the ticket to someone else. Good luck and have fun! Enter by Tuesday 11/13/18 at noon to win a free one-day ticket by leaving a comment below by telling me why do you want to go. 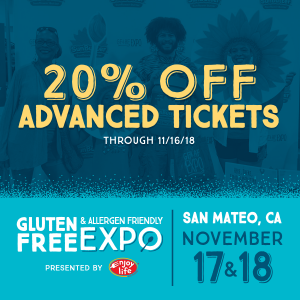 GFAF Expo is Coming Back to the Bay Area! 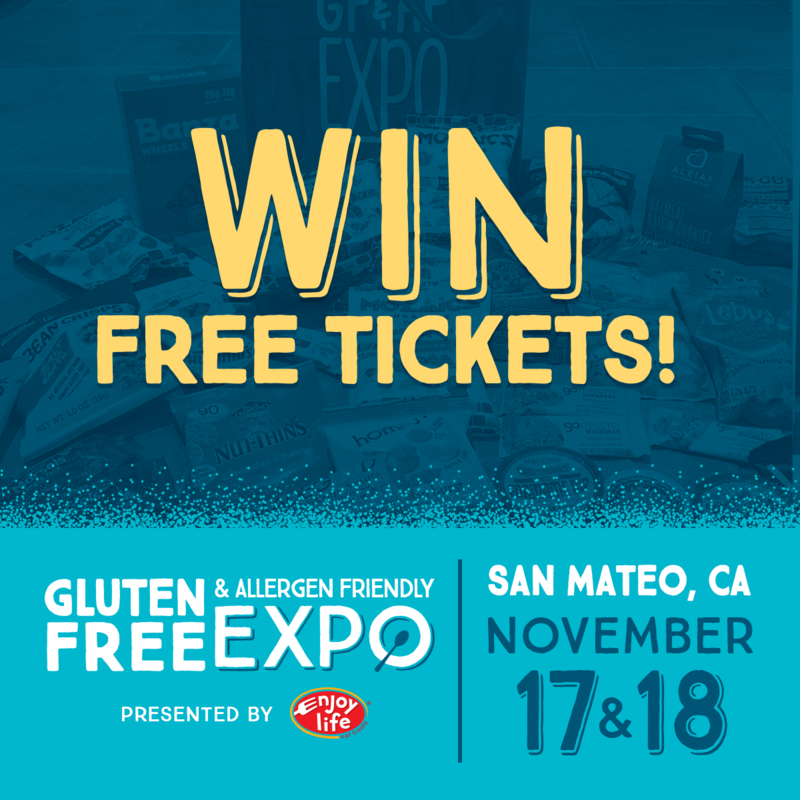 Gluten Free and Allergen Free Expo January 25th and 26th in San Francisco! 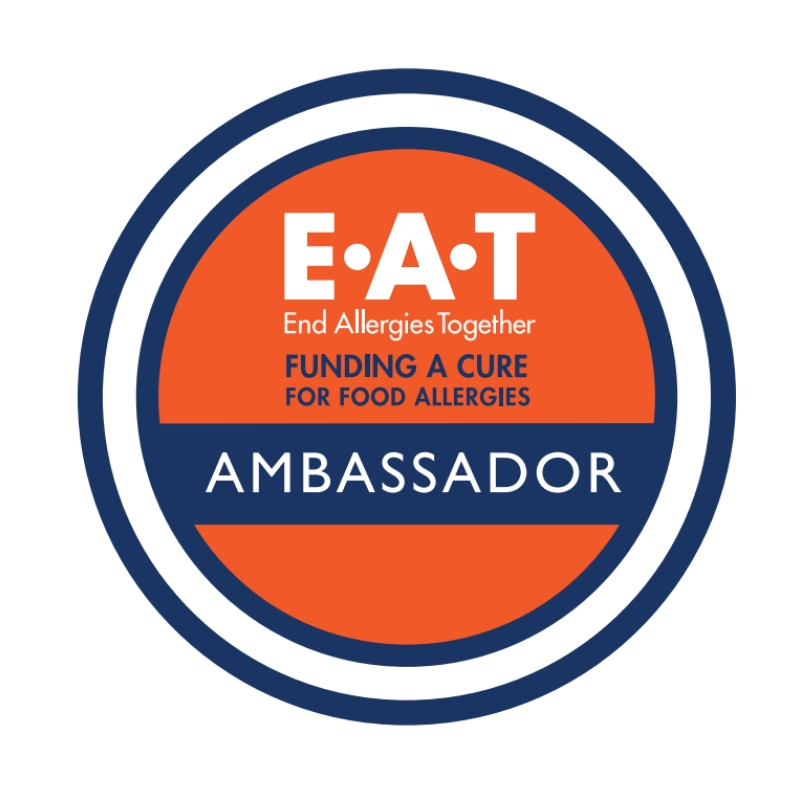 So many family members, including myself with food allergies would be blessed to get exposure to the education and options! We are known for “Baking” and with the season of gathering would love a chance to make more foods available to our family. 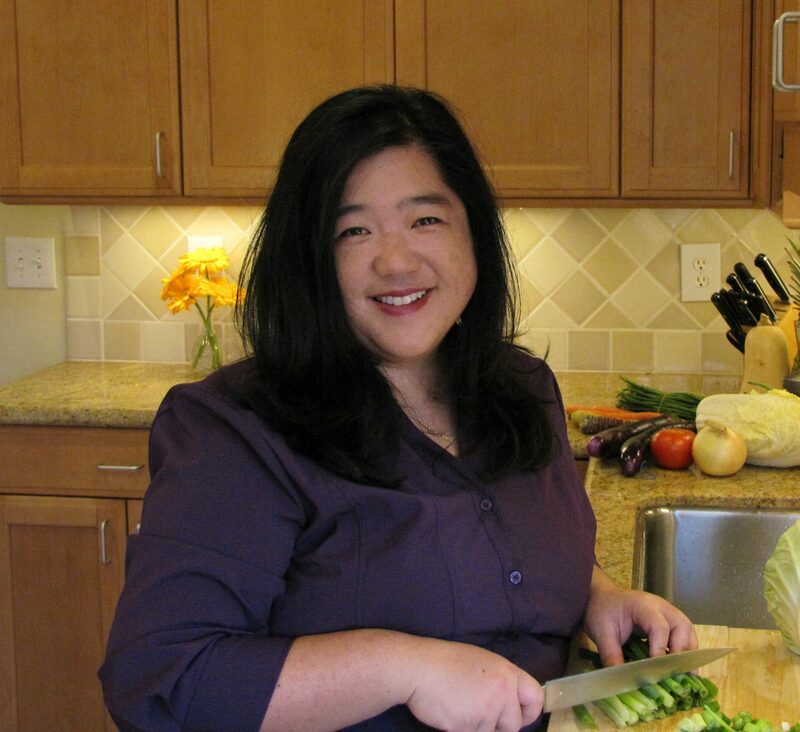 And it’s San Mateo, Sharon Wong from Nut Free Wok and so much more! Thanks so much for the opportunity! 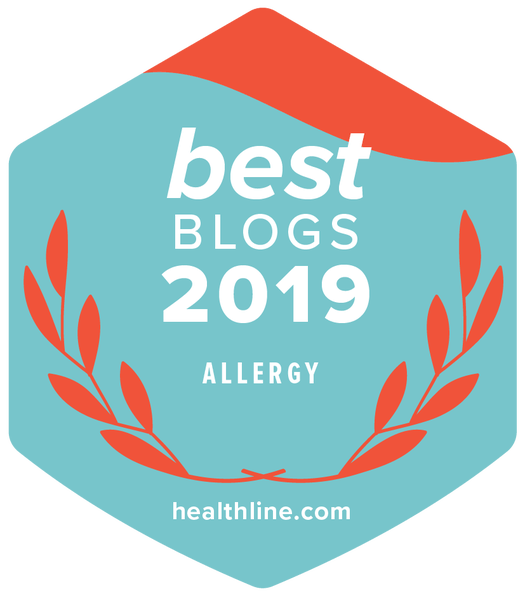 My daughter was diagnosed with food allergies at 6 months old and now that she’s 2, we’re trying to expand her food options beyond baby safe foods. 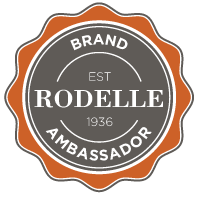 Aside from being a Volunteer again this year, I would like to bring my teenager and check up new allergy friendly foods and recipes. Yay Patty! I hope I will get to see you at the Expo! Hi Sharon. I won tickets last year from the FARE walk and went with my kids. 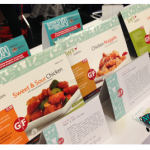 We had a great time seeing all the gluten free and allergy friendly products, tasting and taking home tons of samples, and visiting Sahru at the FARE table. I would’ve already bought tickets this year but wasn’t sure about my daughter’s dance schedule. I’ll probably just take my son this time, although they both wanted to go again for all the free samples 🙂 Would love to go again for all the same reasons and maybe get in some classes this time. Thanks! Hi Sharon. I won tickets last year from the FARE walk and went with my kids. We enjoyed seeing all the gluten free and allergy friendly products, tasting and taking home tons of samples, and visiting Sahru at the FARE table. I haven’t bought my tickets yet because I wasn’t sure about my daughter’s dance schedule. I’ll likely just take my son this time, although both kids want to go. Reasons are as above and hopefully we can attend some classes too. Thanks! Hi Lawnie!!! I hope we’ll get to catch up at the expo! !